2.2 million article views, 3.600 social shares, 27.000 downloads in 13 frontiers journals, 79 articles, 332 authors- that's our Frontiers Research topic in "Towards an Understanding of Tinnitus Heterogeneity"! Many of the ESIT Supervisors, Trainers and partners are part of this research topic and we are still hoping to win the 100'000 $ Spotlight Award for a Tinnitus Conference! Visit this website on https://spotlight.frontiersin.org/neuroscience-tinnitus, check out interesting facts about the topic and sty tuned! We congratulate Professor Deborah Hall in her new position as Vice-Provost for Research and Knowledge Exchange at the University of Nottingham Malaysia in Semenyih Selangor. This is a 4-year secondment on an 80% contract, with the remaining 20% to continue leading research in the UK and keeping up with her supervision duties. Deborah is a world renowned researcher and academic leader in the field of tinnitus. Her biography is a testament to that: ‘Deborah Hall is an NIHR Senior Investigator and Deputy Director of the NIHR Nottingham Biomedical Research Centre (funded 2017-2022) where she leads research projects on measures in clinical trials, tinnitus and translational neuroscience. Deborah was awarded the British Society of Audiology Thomas Simm Littler prize in 2010 for her services to audiology, and the Tonndorf lecture at the 1st World Tinnitus Congress in 2017. She is Chair of the 'Outcome measurement' working group of TINNET (2014-2018) (http://tinnet.tinnitusresearch.net/) and PhD supervisor for students in two Marie Skłodowska-Curie Innovative Training Networks (European School for Interdisciplinary Tinnitus (ESIT) Research; and TINnitus Assessment, Causes and Treatments (TIN-ACT)). Congratulations to her successful start in Malaysia the 2nd of July and all the best. 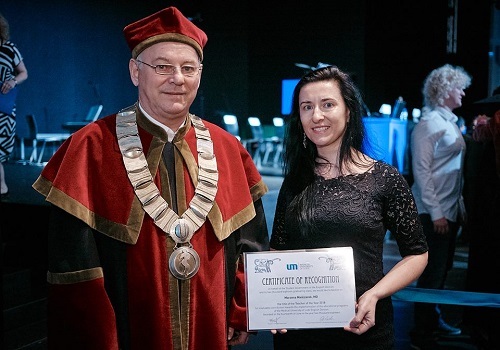 Congratulations to Dr. Marzena Mielczarek, ESIT Supervisor at Lodz Medical University in Poland, who was awarded "Teacher of the Year". 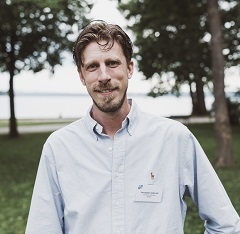 Dr. Christopher Cederroth from Karolinska Institutet was recently awarded the title “Docent” in Neuroscience, which is a recognition of his research and teaching abilities in the field. Watch some of our supervisors explaining their research topics in short videos available in English and German Language! Thank you for participating in this project during the TRI conference 2018!